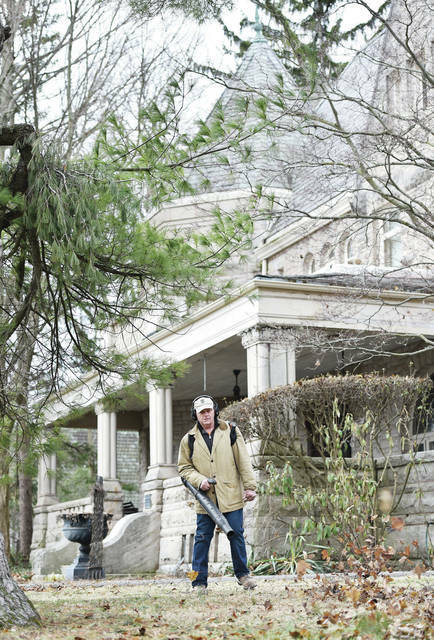 Greatstone Castle owner Frederick Keller, of Sidney, clears dead leaves from around Greatstone Castle on Thursday, April 4. The house is a bed and breakfast that is also open for weddings. The house is 125 years old. Keller has owned it for 25 of those years. While most of the house is made of stone, there are still 103 wood windows which Keller has to paint.